If you are suffering from pain due to a sports injury, whiplash, scoliosis, shoulder or arm injuries or pain, headaches, neck injury or neck pain, back injury or back pain, subluxations, common athletic injuries, plantar fasciitis or one of the many injuries or painful conditions that we treat, please contact us at our High Point, NC Chiropractic Centre for a free chiropractic consultation with our chiropractor, Dr. Christopher Bailey. If you have never seen a chiropractor before, Dr. Bailey and his staff will make your initial chiropractic consultation a pleasant experience. 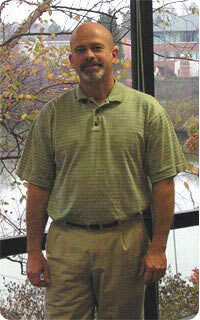 Dr. Bailey has many years experience as a chiropractor and cares for each and every patient he sees. Whatever injury or pain you may be suffering, Dr. Bailey can help. Chiropractic can help with pain, but there are many exercises that you may perform to assist you on your road to recovery from pain. These exercises will also help you stay healthy by stretching and strengthening the muscles around the spine to help you stay pain-free. It is important to do perform strengthening, flexibility, relaxation and aerobic exercises as part of your chiropractic care to heal faster and stay healthy. Please visit Bailey Chiropractic Centre of High Point's website sections on exercises for strengthening, flexibility, relaxation as well as aerobic exercises. New chiropractic patient consultations begin by completing the appropriate chiropractic forms, meeting personally at our High Point, NC office with Dr. Bailey to review and examine the area(s) of pain by performing an orthopedic, neurological and chiropractic examination, conducting x-rays (if needed), determining if chiropractic is the right solution for your injury or pain, and scheduling a time to begin your chiropractic treatment. New patient chiropractic consultations usually last between 30 and 45 minutes. After your initial chiropractic consultation, you will be scheduled for your first chiropractic visit where Dr. Bailey will begin working on the areas that are giving you pain, which may be pain in your neck, upper or lower back, legs, feet or other parts of your body. 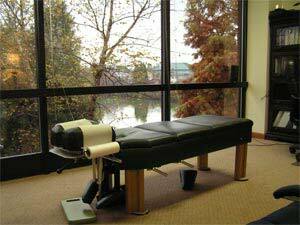 Chiropractic adjustments will be conducted in his High Point chiropractic office, which is in a peaceful environment with large windows overlooking a pond. Chiropractic adjustments are pain-free and often provide “instantaneous” relief from the pain you are experiencing.